The pioneering work of psychiatrists Elisabeth Kübler-Ross, Raymond Moody, Jr. and George Ritchie brought near-death experiences to public attention in the 1970's. During the years that followed, research studies by Kenneth Ring, PhD, Michael Sabom, MD, Bruce Greyson, MD, and others extended the early findings and stimulated additional interest in the field. To meet the needs of early researchers and experiencers, IANDS was founded in 1978 and incorporated in Connecticut in 1981. It was the first organization in the world devoted to the study of near-death and similar experiences and their relationship to human consciousness. Today its varied membership represents every continent but the Antarctic. Below is an idiosyncratic history of IANDS, as told by the recollections of all its presidents to date. It was published in our newsletter, Vital Signs, 1999 No. 4. The Early Founding of IANDS, by John R. Audette, M.S. The Beginning of the 1980s, by Kenneth Ring, Ph.D.
Reflections on IANDS, by Bruce Greyson, M.D. The Middle Years: The Struggle for Survival, by John Alexander, Ph.D. The Road to Recovery, by Elizabeth "Pat" Fenske, Ph.D.
My Year As President, by Bruce Horacek, Ph.D.
IANDS Now and in the Future, by Diane Corcoran, Ph.D.
IANDS Early in the Millennium, by Jan Holden, Ed.D. In the spring of 1975, John Audette introduced Dr. Raymond Moody, then a medical resident, to Dr. Elisabeth Kübler-Ross and helped facilitate the exchange of information between them concerning their independent research into NDEs. After the publication of Life After Life that year, Moody became an overnight celebrity and there was a virtual explosion of public interest in the subject. Soon after, other researchers began to contact Moody to ask questions and to seek assistance in designing research efforts of their own. Near-death experiencers began to write in search of more information. Members of the clergy and the interested public began to contact Dr. Moody as well, with questions, invitations to speak and so on. Letters and phone calls flooded the Moody residence from all over the world. Sensing the critical need, Audette suggested that Moody spearhead the formation of an international association that would bring together researchers, experiencers and the general public in further pursuit of their common interest in NDEs. All the researchers known to Moody at the time were contacted and invited to a meeting to discuss the formation of an association that would further the scientific study of NDEs and that would also serve as a support group of sorts for experiencers, as well as a clearinghouse of information for the public at large. This meeting took place in November, 1977 in Charlottesville, Virginia. Present were Dr. Moody, Dr. Ken Ring, Dr. Bruce Greyson, Dr. Michael Sabom, John Audette, Dr. Sarah Kreutziger, Dr. Beverly Belk, Dr. Donald Mueller, John Egle (publisher of Life After Life), Gina Weiss, MS, Sue Palmer, and a few other interested persons. At this meeting, the Association for the Scientific Study of Near-Death Phenomena was organized as a vehicle to assist researchers, experiencers and the interested public. Through a process of collaboration and teamwork that spanned several months in late 1977 and early 1978, the formal organization was co-founded and co-created by Audette, Moody, Ring, Greyson and Sabom. In 1978, the Association held its first board meeting in St. Louis. At this meeting, bylaws were drafted, as well as articles of incorpation and the application for tax exempt status with the IRS. For the following three years, Audette oversaw the activities of the Association as Executive Director from his home in Peoria, Illinois. In 1981, the Association was relocated to the University of Connecticut, Storrs, where Ring was on faculty. Audette recalls that "those early days were interesting and exciting, filled with the promise and potential of what might come in the future." In commenting on his original motives for conceiving IANDS, he remarked "I believe that the NDE presents an extraordinary and powerful tool in the quest to enlarge our collective understanding of death and what comes after death." "From the outset," he continued, "I believed that the scientific study of NDEs, by virtue of the conclusions independently reached by a number of different researchers, had enormous power to unify religions and cultures through the universal cornerstone insights they provide." The International Association for the Study of Dreams is a non-profit, international, multidisciplinary organization dedicated to the pure and applied investigation of dreams and dreaming. Our purposes are to promote an awareness and appreciation of dreams in both professional and public arenas; to encourage research into the nature, function, and significance of dreaming; to advance the application of the study of dreams; and to provide a forum for the eclectic and interdisciplinary exchange of ideas and information. The Institute of Transpersonal Psychology is a private, non-sectarian graduate school accredited by the Western Association of Schools and Colleges. Founded in 1975, the Institute began as a groundbreaking center of integrative, whole-person learning and training. Today, ITP is a leader in transpersonal research and education of clinicians, spiritual guides, wellness caregivers, and consultants who apply transpersonal principles and values in a variety of settings. The Institute's stimulating and transformative educational paradigm, valuing the mind, body, spirit connection, attracts students from all over the world to both residential and distance-learning programs. Educational paradigm stressing a holistic approach to psychotherapy. Experiential educational model that integrates six aspects of human existence into coursework: intellectual, emotional, physical, spiritual, creative, and relational. Cutting edge research opportunities with leaders in the field of transpersonal psychology. Supportive and vibrant learning community including distinguished faculty and visiting scholars. Classroom environment that honors diversity and creative expression. Dynamic on-line/distance-learning opportunities utilizing the personal mentor system. Evening master's program for working adults. To receive a free viewbook about ITP academic programs and services please fill out the information request form. We encourage you to read more about the Institute's history, mission and beautiful location in the San Francisco Bay Area. A brief description of Transpersonal Psychology and a glimpse into the richness and diversity of student life at ITP will help your decision to join our Academic Community. Alumni carry their ITP education into a large and diverse spectrum of disciplines such as clinical therapy, teaching, business, research, consultancy, coaching, and many other fields. ITP provides the most recent information on career, work and professional opportunities for graduates, and offers personal sketches of alumni as well. The Institute of Transpersonal Psychology admits students of any race, color, sexual orientation, national and ethnic origin to all the rights, privileges, programs, and activities generally accorded or made available to students at the school. It does not discriminate on the basis of race, color, sexual orientation, national and ethnic origin in administration of its educational policies, admissions policies, scholarship and loan programs, and other school-administered programs. The Graduate College of Psychology and Humanistic Studies is the world’s premier center for humanistic scholarship and research. Originally founded as the Humanistic Psychology Institute in 1971 through the leadership of Eleanor Criswell, and known for more than three decades as Saybrook Graduate School and Research Center, the College of Psychology and Humanistic Studies has been the world’s leading educational institution dedicated to humanistic scholarship for nearly 40 years. It has been the intellectual home for generations of scholars who sought to make a difference in the world through practice, and for practitioners who sought to take their work to the next level through graduate education. Its creation was inspired by the legendary meeting at Old Saybrook, Connecticut, in 1964 when the humanistic psychology movement was articulated as an alternative to mainstream psychology. The humanistic psychologists who participated in that conference wanted to provide a place where psychologists as well as other professionals could come to learn more. Leading figures at the conference, including Rollo May, James Bugental, and Clark Moustakas, also served as faculty in the early years. This College we fondly call PHS is the holder of the legacy that sources the mission and values of Saybrook University and all its Colleges. Its faculty can trace their roots directly to the thought leaders who created the humanistic tradition – in humanistic psychology, in human science, in mind-body medicine, and in organizational systems and leadership. Our faculty are first generation offspring of these titans of the humanistic tradition who in turn have shaped the second and third generations of this tradition’s leaders. These three generations of humanistic scholars are now educating the next generation of humanistic scholars and practitioners who are needed now, more than ever before, to effect a transformation in the values that drive our society and culture. PHS remains committed to the principles of the humanistic tradition and firm in the belief that these principles are vital and relevant for graduate education that seeks to inspire transformative change in our world. Our graduates reside in more than 16 nations. The Graduate College of Psychology and Humanistic Studies (PHS) offers MA and PhD degrees in Clinical Psychology; in General Psychology, in Organizational Systems, and in Human Science. The Rhine Research Center is an integrative center for the study of consciousness. We are a hub for ground-breaking research and educational activities on the nature of human consciousness – its reach, its reality, its durability, its healing capacity, and its spiritual dimension. PEAR has now incorporated its present and future operations into the broader venue of the ICRL, a 501(c)(3) not-for-profit research organization, in addition to Psyleron—a company that provides Random Event Generator devices to enable the continued exploration of PEAR’s findings by the general public and research communities. In this new locus and era, PEAR plans to expand its archiving, outreach, education, and entrepreneurial activities into broader technical and cultural context, maintaining its heritage of commitment to intellectual rigor and integrity, pragmatic and beneficial relevance of its techniques and insights, and sophistication of its spiritual implications. PEAR also will continue to provide the scholarly pedestal from which all other ICRL activities will radiate. On the accompanying menu of pages we have attempted to sketch the substance, spirit, and findings of this scholarly endeavor. In addition, a few conceptual interpretations are offered on their fundamental and practical implications for basic science, engineering applications, and individual and collective human culture. Some fifty articles may be downloaded from the Publications page, which provide more detailed description of PEAR’s research agenda addressing human/machine interactions, remote perception phenomena, and the proposition of theoretical models that appropriately engage the subjective correlates of these empirical effects. Also available are a number of more philosophical essays that speculate about the broader cultural and spiritual ramifications. In addition, a comprehensive overview of the PEAR program, including five lectures, a virtual tour of the laboratory, and many other features that capture the unique spirit and substance of the PEAR enterprise, is available on a DVD/CD set entitled "The PEAR Proposition," (see right for trailer) produced by Strip Mind Media, and sponsored and distributed by ICRL. Parapsychology has been part of the University of Edinburgh since the appointment in 1962 of the late Dr John Beloff as a lecturer in the Department of Psychology. Beloff researched and taught parapsychology at Edinburgh until his retirement in 1985, though he maintained his connections with parapsychology and the department for another two decades. Many of Beloff's graduate students are still active in the field today. Indeed, he played an important role in bringing the Koestler Bequest to Edinburgh. For more information about John Beloff, click here. The noted writer Arthur Koestler and his wife Cynthia in their Wills bequeathed their entire estate for the establishment of a Chair of Parapsychology at a British University. The declared intention was to further scientific research into "...the capacity attributed to some individuals to interact with their environment by means other than the recognised sensory and motor channels". Most likely due to Beloff's responsible approach to studying parapsychology, from the outset Edinburgh University was keen to host the Koestler Chair. John Beloff was appointed to the selection panel and was influential in ensuring that the appointment went to Robert Morris, an American widely respected by fellow parapsychologists and critics. In 1962 Koestler also founded what is now the Koestler Trust, which supports prisoners through the arts and celebrates its 50th birthday in 2012. 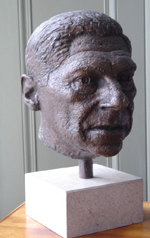 For more information about Arthur Koestler, click here. Robert Morris was Koestler Professor of Parapsychology from December 1985 until his death in August 2004 aged only 62. He recruited additional staff and research students to form the Koestler Parapsychology Unit. Over nearly two decades as Koestler Professor, Morris supervised over 100 undergraduate student projects, and over 30 postgraduate students, many of whom went on to establish research units and teach parapsychology at other higher education institutions. During that time he also served as president of the Psychology section of the British Assocation for the Advancement of Science, showing that Morris succeeded in his avowed aim to integrate parapsychology with the wider academic community. For more information about Bob Morris, click here. The Japanese Society for Parapsychology (JSPP) has been founded to enhance research activities in parapsychology in Japan. JSPP is making research plans, having various events and meetings, and publishing printed matters including the Japanese Journal of Parapsychology (JJP). JSPP would like to welcome people who want to join parapsychological studies of various kinds. Parapsychology was developed from psychical research. With the basic methods produced by J. B. Rhine who established parapsychology in 1930s, modern parapsychology is growing with help of present-day psychological technology (e.g., Ganzfeld and remote viewing experimentation). Through co-operation among members to develop the research, JSPP would explore the fundamental human nature and make a contribution to human beings and their society. In Japan, academic people interested in parapsychological topics had opportunities to talk on their interests and decided to have an organization in University of Tokyo in 1963. Its active members were Soji Otani (National Defense Academy, Japan), Akira Onda (Toyo University) and Motoki Kanazawa (Takenodai High School). In 1968 they founded the Japanese Society for Parapsychology, and the first president was Toranosuke Oguma [1888-1978], professor of psychology of Meiji University. Since then JSPP has held its Annual Conventions once a year. In 1996, JSPP has started publishing the Japanese Journal of Parapsychology in which research articles are written in Japanese or English with an English/Japanese abstract. The annual convention is held on December in Tokyo. Monthly study meetings are held in Tokyo. The Japanese Journal of Parapsychology is published twice a year. The International Society for the Study of Subtle Energies and Energy Medicine (ISSSEEM) is an interdisciplinary organization for the study of the basic sciences and medical and therapeutic applications of subtle energies. The Society was organized in the fall of 1989 and is a non-profit public benefit corporation based in Colorado with a current membership of 1,450. Modest membership contributions support a central office in Arvada, Colorado, which serves as the ISSSEEM membership services and publications center, providing opportunity for information exchange and networking. ISSSEEM was organized for the purpose of improving human health and welfare through the advancement of education, practice, training, and research in the emerging field of subtle energies and energy medicine by (a) increasing the knowledge of the membership about the fields of subtle energies and energy medicine via meetings, educational programs, publications, and special interest groups; (b) improving applications of subtle energies and energy medicine through high standards of professional practice, peer review, ethics, and education; (c) promoting Independent Exploration Groups; and (d) disseminating information to the public about subtle energies and energy medicine. It includes all energetic and informational interactions resulting from self-regulation or brought about through other energy couplings to mind and body. In addition to various therapeutic energies which we may use, there are also energy pulses from the environment which influence humans and animals in a variety of ways. For instance, low level changes in magnetic, electric, electromagnetic, acoustic, and gravitational fields often have profound effects on both biology and psychology. In addition to energies originating in the environment, it has been documented that humans are capable of generating and controlling subtle not-yet-measurable energies that seem to influence both physiologic and physical mechanisms. Compared with "energy medicine," the concept of subtle energies is more difficult to discuss in a scientific paradigm. The traditional subtle energies referred to as chi (or ki), prana, etheric energy, fohat, orgone, odic force, mana, homeopathic resonance, etc., are said to move in the so-called etheric body (subtle body), and seem to be difficult to measure at present. A number of therapeutic methods prevalent today, however, appear to be concerned with facilitating the flow of these subtle energies through the dense physical body. It is traditionally accepted that expansions of consciousness often are related to changes in subtle energies that cannot be quantified. These latter "energies," which are said to be associated with interactions and with transcendence, may not, in fact, actually be involved with known physical fields. Understanding and facilitating the use of subtle energies, both for therapeutic purposes and for the study of human potential, will perhaps open up to consciousness new (albeit traditional) depths of the human mind. If this should indeed be the case, one test of the Society will be to find and bring together those who are capable of synthesizing the two major interests of humankind, Natural Science and the transpersonal aspects of the human psyche. In modern jargon, this might include, though not be limited to, full integration of left cortex and right cortex with deeper brain centers. ISSSEEM, attempts to study and consider all concepts related to subtle energies and energy medicine. ISSSEEM as an organization supports the scientific enterprise of recognizing traditional knowledge about subtle energies and the healing process, painstakingly gathered over centuries, and bringing that knowledge together with post-modern scientific method and inquiry. Experimentalists, clinicians, and theoreticians from many countries, have told us of their interest in the study of human capacities and the role of consciousness in Nature. Yet many also report a sense of isolation, a sense that one person can make little difference, and the need for like-minded colleagues. ISSSEEM provides a vehicle to help this integration. We hope in ISSSEEM to build bridges, linking paradigms for clinicians and scientists. Through carefully prepared conferences, a quality Magazine, Bridges, and a peer-reviewed Journal,Subtle Energies and Energy Medicine, The Society serves its membership and strives to stimulate research and reasoned discussion in the larger scientific community. The origins of the IAC date back to 1981 with the milestone foundation of the Center for Continuous Consciousness (CCC), the world's first conscientiological organisation - dedicated to the study of the consciousness. A brainchild of Dr. Waldo Vieira, MD, the CCC was founded in Rio de Janeiro, Brazil. CCC work was based upon an alliance of a group of individuals with a shared interest in researching the out-of-body experience as well as other psychic phenomena. Dedicated to experimental research, the group worked to deepen understanding of bioenergies, psychic awareness, the out-of-body experience, and interaction with non-physical beings. Periodically, these findings and ideas were structured into conferences which were conducted free across the whole of Brazil with the purpose of assisting individuals with an interest in the subjects. Around this time, the book 'Projectiology' – an impressive tome providing a comprehensive view of experiences beyond the body and which today forms the basis of the science of projectiology – was being written by Dr. Vieira. Increased demand for classes and the structured presentations and seminars provided by the Center for Continuous Consciousness led to a natural process of growth and it was exactly seven years later – in January of 1988 – that the International Institute of Projectiology and Conscientiology (IIPC) was founded by leading members of the CCC as its replacement. At that time, IIPC was called IIP for International Institute of Projectiology. The IIPC provided an improved structure under which research and dissemination could continue and in 1994 the IIPC began to expand its activities overseas. To date, the IIPC has assisted over 130,000 individuals through its events, providing information and the opportunity for deeper understanding of multidimensional reality. The success of the IIPC activities and the deepened knowledge amassed inspired in 1995 the construction of the Center for Higher Studies of Consciousness (CHSC), a dedicated research complex located in Iguassu Falls, Brazil. The CHSC proved successful and continues to provide a variety of unique facilities today, including a series of themed multi-dimensional laboratories that provide optimized environments for self-research by facilitating a variety of psychic phenomena. The ample opportunities afforded by CHSC’s laboratories has attracted individuals from around the world, and has ultimately given rise to the construction of a similar research center in Europe – the IAC. Then, in October of 2000, a group of IIPC volunteers founded the International Academy of Conscientiology (IAC) in Portugal, with the purpose of furthering the research on Conscientiology and Projectiology as well as providing with facilities and opportunities similar to those found at CHSC in Brazil. The conception of this European conscientiological research base also aimed at serving as a focal point for formal academic research in fields related to consciousness. The following two years, the IAC focused on developing a number of innovative courses and workshops and conducting a series of research projects. During this early period of its history, IAC also acquired an area of land in Portugal’s Alentejo region and construction of the research campus began. Development is ongoing. Subsequently, a strategic alliance between IIPC and IAC was formed aiming at the decentralization of the administration of the IIPC international offices. Then, in 19 of May 2002, the direction of the IIPC non-Brazilian offices were transferred to the European based IAC, which encompassed then the educational and research activities performed by the offices located in Great Britain, Portugal, Spain, and the United States. 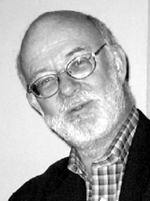 Wagner Alegretti, who has been a leading researcher of conscientiology and projectiology since 1982, is currently the president of IAC. Alegretti was a pivotal member of the CCC and a charter member of the IIPC where he served as executive director between 1989 and 1994. At present, the IAC offers a number of curricular and extracurricular courses as well as workshops, debates, forums, and seminars in numerous cities around the world. To find IAC facilities worldwide, please go to Finding Us. For more information about IAC laboratories please select Research Campus page in this section. For information relating to other conscientiological organizations, please visit the Resources & Archive section. For details of courses and workshops, please see the Courses & Schedules area of the site.